Junhyong Kim and his collaborators pursue innovation in a sea of data. Social media sites store hundreds of billions of photos, while super-retailers are clocking in millions of sales per hour. Deep space telescopes and powerful particle accelerators produce vast quantities of information that can transform the state of science—as long as that data can be stored. How can we retain, process, and make sense of the seemingly endless amount of complex information that society produces? This is the quintessential challenge of big data in our modern technological age—and it will only escalate as our digital footprint grows with time. Kim and his co-investigator Zack Ives, Professor and Markowitz Faculty Fellow in Computer and Information Science in Penn Engineering, are working at the frontiers of the expanding universe of big data with the help of a grant from the National Institutes of Health (NIH), through its BD2K (Big Data to Knowledge) initiative. Their main goal: Design a computer software program that can handle the extensive data management requirements of single-cell genomics and other genome-enabled medicine—and, while they’re at it, to help address big data issues that may have an impact on a range of endeavors within and beyond the research community. It turns out Kim’s own field, single cell genomics, offers a perfect laboratory for exploring the problem of marshaling big data. “People understand that there are different types of cells—that brain cells are different from heart cells and so on,” says Kim. “But there’s a tendency to view certain kinds of groups of cells like bricks in the wall, when it turns out that every cell is actually quite different.” To understand the function of individual cells in the human body, Kim’s lab and collaborator James Eberwine, Elmer Holmes Bobst Professor of Pharmacology at the Perelman School of Medicine and co-director of the Penn Program in Single Cell Biology, look at individual cells at a minute level of detail, using groundbreaking technology—technology that produces massive amounts of data. The process involves multiple steps: isolating ribonucleic acid (RNA) from individual cells, amplifying it so that there are enough molecular copies to process, and, finally, sequencing it in order to reveal gene expressions. This glimpse at the function and behavior of individual cells provides a scientific foundation that may translate to important medical advances, such as the development of pharmaceuticals that target specific genes to treat degenerative diseases like Alzheimer’s. “If you look at your face and see where your freckles appear, it’s clear that there’s a lot of heterogeneity,” says Kim. “So when we get degenerative diseases, it’s not like your whole brain goes at once. Some cells go and some cells don’t. And that’s due to this cell-to-cell variation we are working to understand." Keeping track of the complex experimental processes and data analysis involved in genomics research is extremely challenging, and this is the problem that the new BD2K-funded project, titled “Approximating and Reasoning about Data Provenance,” is addressing. The technological advances that have brought the cost of sequencing the human genome down from $3 billion to $1,000 have also produced a data deluge, and processing and managing this volume of information is the main bottleneck in research and translational applications. The technological advances that have brought the cost of sequencing the human genome down from $3 billion to $1,000 have also produced a data deluge, and processing and managing this volume of information is the main bottleneck in research and translational applications. In order to chart the “provenance” of the data—the “where” and “how” that data came about—each step has to be meticulously traced. “When patients come in for neurosurgery, whether it’s for epileptic surgery or tumor resection, there is a lot of information associated with those patients and why they are there,” says Kim, whose lab studies several types of cells, including human heart cells, immune cells, olfactory sensory cells, and stem cells. “This includes who the patients are, what previous pathologies they had, what kind of medication they were on, and even who the surgeons were.” The variables continue in the lab. Once the tissue comes in, it’s separated into various processing streams. Sometimes, for example, it’s taken directly for examination, while other times a specimen is frozen. Eventually the RNA of individual cells is collected and amplified, a multi-step process involving various reagents. All of these variables must then be processed by the sequencing software—the real hard-drive hog. The tools and methods used to track data may ultimately determine the weight accorded to the results within the scientific community. “When we want to compare data from different sources, we need to understand whether it was created using the same recipe,” Ives says. “We’re trying to come up with better ways of storing, collecting, and making use of provenance to help scientists.” Any software Kim and his collaborators develop will be open source so researchers around the world can iterate and improve the platform down the road. 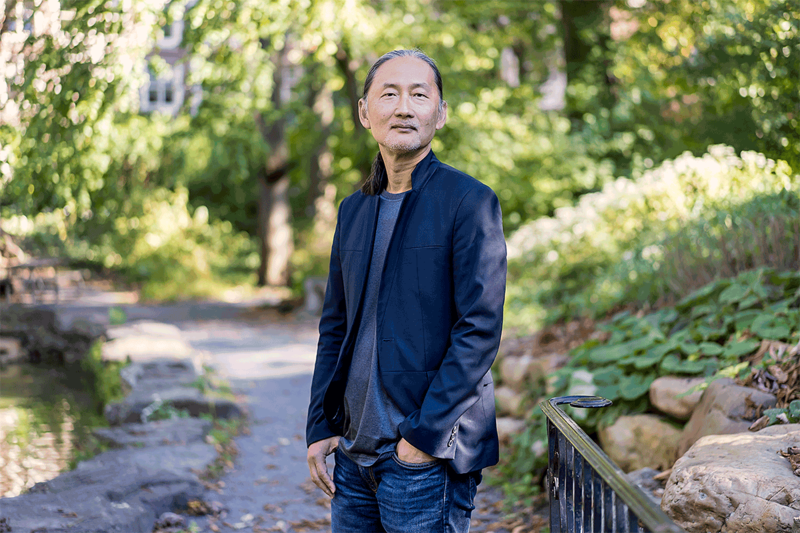 According to Junhyong Kim, Patricia M. Williams Term Professor in Biology and a co-director of the Penn Program in Single Cell Biology, big data isn’t just a challenge for scientists. He argues that students in all fields need to be exposed to technology early in the curriculum. This conviction is also reflected in the Penn Arts and Sciences strategic plan, “Foundations and Frontiers,” which identifies big data as one of eight areas that are key to the School’s future in education as well as research.